when she's not working in famous movies, Jolie works in giving helps to others and engaging in humanitarian efforts. She always care about people who needs her support. that makes her one of the the most beautiful women in the world. Angelina Jolie plays the role of the world’s first supermodel. In this movie Jolie plays mental patient Lisa Rowe, a girl who has a problem distinguishing between her aorta and her jugular vein. The movie presents the story of a mysterious woman who's the mail order bride of a successful Cuban plantation owner. She plays a wealthy woman who's favorite pastime is finding valuable objects which has a valuable history. From video game to big screen no one else could handle this role as good as Jolie. Jolie plays Jane Smith, a happily married businesswoman. Living with her husband, John Smith (Brad Pitt), they lead an idyllic life. That is until the secret comes out that they're assassins who must now take each other out. Jolie as Olympias, mother to one of the greatest historical figures ever known: Alexander (played by Colin Farrell). she pushed hard to raise her son to a position of power. She goes against her husband King Philip (played by Val Kilmer) at every turn until she is spurned and cast aside. 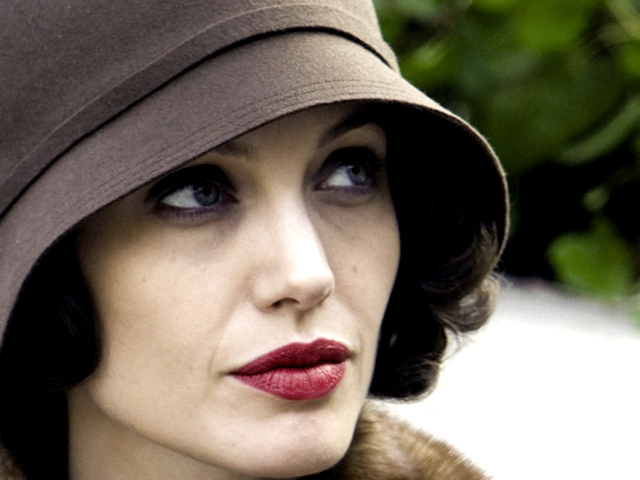 In The Changeling, Jolie plays Christine Collins, mother of a missing boy named Walter. Set in 1928, this film tells the true story of the kidnappings of other young boys in the same area. And when the LAPD attempts to pass another boy off as her son, Jolie’s character sets in motion an outcry of police corruption and abuse of power. Talk about action in high heels! Jolie plays Evelyn Salt, a CIA agent who's being framed as a rogue Russian spy out to perform an assassination. Instead of doing the chasing, she is now the one being chased in this action-packed spy thriller. 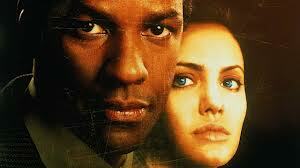 In this film Jolie plays new cop on the block Amelia Donaghy. She's assigned to quadriplegic and smartest cop in the world Lincoln Rhyme (Denzel Washington). He's the brain and she's the brawn behind this who-done-it thriller. Based on a true story, Jolie plays Mariane Pearl, wife of Wall Street Journal reporter Daniel Pearl. Visiting Karachi in 2002, Daniel never returns home after meeting with an Islamic fundamentalist cleric. Mariane turns to the police in Karachi, the American Embassy, as well as the FBI, to find out who has him and why.